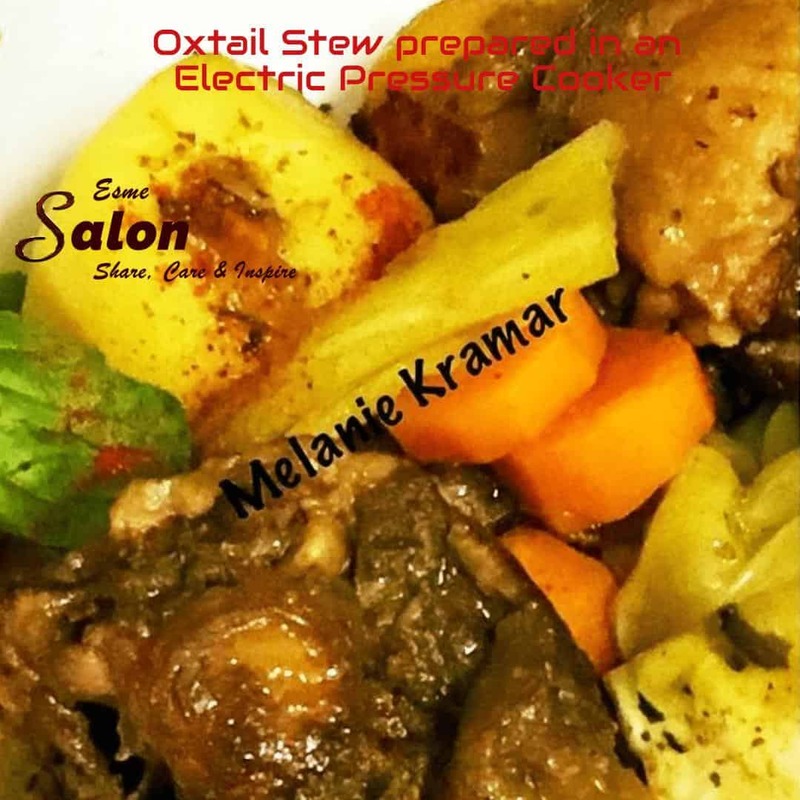 Hubby felt like oxtail yesterday, which he normally does in the potjie, but we opted for Oxtail Stew prepared in an Electric Pressure Cooker. While I was up for Oxtail, but in no mood for potjies or even chopping veggies for that matter, so opted to do it in the pressure cooker, because it never fails. Bought all the veggies fresh, but pre-packed, cleaned and washed. Place oxtail in a large dish and sprinkle with 2 tsp bicarb and set aside for 10-15 minutes. Switch on the cooker on to sauté and sauté onions, bay leaf, cinnamon, cardamom, and seeds till onions are translucent and seeds splutter, then add oxtail to the pot and turn the temperature to browning and brown the oxtail while adding all the herbs and spices, including allspice berries. About 10-15 minutes. Add beef granules, water and tomatoes and wine (Optional). Add vegetables. Cook on high pressure for another 30 minutes. In South Africa, a potjiekos, literally translated “small-pot food”, is a dish prepared outdoors.